W magazine interview with Chloë Sevigny about aging in Hollywood and her hair and beauty regimen. Check it out on WMagazine.com or under the cut. A very frank talk with the actress who’s been a style icon—and in front of cameras—since the 90’s. “It’s hard after 40,” she says. Vibe is something that can be hard to replicate, but the hairstylist Joey Silvestera has managed to transport the cool, casual air of his East Village salon Blackstones to its new iteration, at Tribeca’s Roxy Hotel. How do we know? 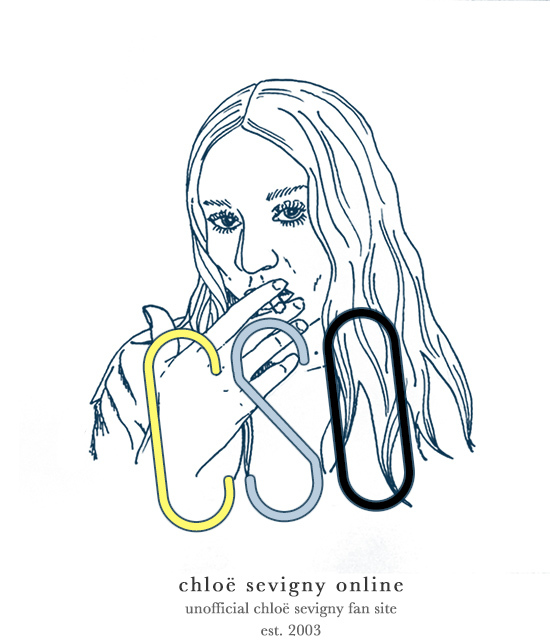 Because famous clients like Chloë Sevigny are asking questions like: “Do you turn people away? Is this like a nightclub? How do you get such a cool clientele?” Sevigny spent the afternoon with us in the new salon, chatting all the beauty ins and outs—and there are outs—to being a 40-something actress. You don’t age! What do you do for your skin every day? I think it’s not having had a baby yet. Because I think the baby wear and tear and stress on your body is part of the reason why people say, “Why do you still look so young?” I really think that that unfortunately ages women, especially when they have children in their 30’s, not in their 20’s. So I think, first and foremost, it’s that and genetics. And then I’m really into all the things they tell you to do, like moisturizing. I go to Dr. Colbert, who is this fancy dermatologist. I haven’t really gone the Botox route yet, but he does lasers and very expensive facials and stuff like that. Are you into micro-current or micro-needling treatments? No, there’s this one facial, but I can’t remember what it’s called. Is it the ultherapy? No, that’s the crazy one that hurts. I tried that once and it was the most painful experience. I do lots of moisturizing, lots of water. I don’t do a lot of caffeine. But once I hit 40 [Sevigny is 41], I feel like things are starting to happen now that aren’t very exciting, and I’m starting to get a little scared. And a little more proactive? I don’t know that I’m more proactive. I mean, what do you do? Do you let it happen? Or do you start the preventive measures? It’s kind of terrifying. The under-the-eye thing, there really isn’t much to do for that. I also always slept on my side, and now I’m trying to train myself to sleep on my back for these lines [she gestures at her face] and these lines [neck and décolleté]. And with the pillow height, so it’s more with those kinds of things. I mean you’re in bed for what, seven or eight hours a night. That’s a long time! So I’m trying to shift things like that, which are difficult. But it’s hard after 40. Everyone says that once you hit 40. I mean not only that, it’s sort of different things, like the knees. That they start falling a little bit? I think so. I mean I was asking Dr. Colbert, “What can you do? I heard Demi Moore had some sort of knee thing.” [Laughs] And he said, “Oh, don’t be crazy Chloë.” But I’m kind of known for my legs. So it’s kind of a terrifying time, but instead of being scared I’m just trying to enjoy it. Because I have lots of friends in their 50s and they say, “If you’re like that, it’s only going to get worse.” So just being confident in your 40s. It’s a big mental thing. I just got back from Cannes and there is so much emphasis on your looks, and fashion, and all that. I’m trying to have a healthy remove, and I’m trying not to beat myself up. And I’m trying to do less photo shoots [Laughs]. Yes, but I think that beautiful hair color and healthy hair really helps a lot. And what do you do for your hair? I’m trying to do less shampooing to keep the color alive longer, and a little drying upside down because my hair falls really flat even though I have so much. So, I dry the roots upside down—just the roots, but not the ends—because I’m not really into the blowout or the barrel curls. Even though sometimes I do that just to look more polished for work, appearances, stuff like that. In day-to-day life, that’s more of my thing. Joey has introduced me to a little dry shampoo, so I try to do that. I’m really into the brushed out look. Joey gave me one [Sachajuan]; I also have an Oribe one. It’s a little fragrant. I like that sometimes. You might as well not wear fragrance, right? Yeah [Laughs]. So I try and do that, and then, what’s hilarious, Carla [Rombauer] from Blackstones who does my color—I’m so into ashy blonde, and whenever it starts to go brassy I freak out. So she had her assistant run out to Trash & Vaudeville and get me the Virign Snow Manic Panic toner. I love Manic Panic, that’s amazing! I know! So I use that once a week for like a minute in the shower as the toner, to keep it more ashen. It’s so funny she was like I’m going to get you something, and so the assistant ran out and came back while she was finishing my color and I was like, “Manic Panic!” I’m so excited to have that in my shower and look at it every day. I’m sure all the memories will come back with it. I used to use all the colors as a teenager — I did pink, I did blue. I had a lot of Manic Panic in my life. And how did you meet Joey? Yes. And this one had such a good vibe! There were some other salons that I used to go to in New York, where I felt like even the assistants were… I almost felt like I had to apologize like if I wasn’t glamorous enough. And these people felt like they were my people. And now I just pop in whenever and my boyfriend gets his hair cut there. I didn’t even know that was possible, to have a relaxed atmosphere at a salon. Do you ever bring in pictures? I kind of know what I want. There’s that Julia Stegner hair that is always the dream blonde, but I feel like that’s just her hair. And I’ve been talking to Carla about doing lowlights, because my natural blonde is a really pretty blonde. But I feel like at my age, if you’re not a 20-year-old model who has virgin hair, it’s just not going to work. I’d like to go there, but I don’t know. But for the cut, I’m just entrusting Joey. So more of, why don’t we do this or that? Yeah, because I had this really bad ledge, because I was one of those on-set cuts. Because those guys really aren’t supposed to cut your hair, because they’re not cutting hair every day, so they’re not good at it. So I had a “short in the front, long in the back” style. So he’s always like no hair curtains. No Marsha Brady! I would love a Marsha Brady, but I guess I have to stay away from that. You’ve had bangs. Would you want to go back? I have. I mean, I’ve had so many hairdos over the years—some good, some bad, some wild, some whatever, some recovering from parts. I don’t think I’m a bangs person. I have to say, I did the show Hit & Miss and I had black hair in it. Going back to blonde was like so hard. We did a bang and this Louise Brooks bob, and all of a sudden all of my outfits looked so great. I feel like when you have a real haircut—especially being a blonde-haired, blue-eyed girl with my texture — I could wear almost anything and it would look cool. But I’m trying to go for something softer now. Did you ever have a look for a role that you hated? I mean I didn’t really didn’t like my hair in Hit & Miss. They did crazy long extensions, and the brown was too dark. It was done in Manchester, England, at the whatever salon. And I was just like, “They’re destroying my hair, I know they are!” And it was too groomed, even for the part. And I don’t like myself with a side-part, but they were just like we want to do you as far away as anybody’s ever seen you. That’s a big sacrifice, and it’s hard to put your ego aside, but I understand that they wanted me to have a style that nobody had ever seen me with before. Yes, it’s funny, though with Big Love, I always had to do this puff at the front, this pompadour thing, and I got so used to seeing myself with that style that I started doing my own version of it in daily life. And that’s when things get twisted! Often so many actress friends and I talk about if there’s any way to change the process of having to sit and look at yourself under fluorescent lights for 2 hours and then having to go and perform. Even on photo shoots, it’s like, “Can you turn me away?” So many makeup artists and hairstylists are used to working with the mirror, but then you’re confronted with it. There’s just this torture. And then you have to have the confidence when all you want to do is cry after being in this hideous lighting. If there’s any way to change that system, that would be really great [Laughs]. Well, maybe we can put the word out! How do you approach red carpet hair and makeup? You always look like yourself. Well, I’m trying to keep it consistent, which I think I have for so many years now. Like the center part with the low bun in the back, and just I like ladies that have the same look over and over again. That’s such a go-to style for me, and I think it’s flattering. The whole hair and makeup thing is very hard for me. I would almost rather do just hair or makeup; whenever I have to do both it’s hard. It’s very hard for me to experiment on the red carpet. I always want less. I go in the bathroom and wipe it off. But what’s the worst part about the red carpet is first of all, the photographers are always too close, like even for a full length beauty shot, so I always have these weird angles. And the digital film is so unflattering, and they light the red carpet with this horrible lighting that’s really unflattering. Nobody is doing anybody any favors. I mean, wouldn’t we all want prettier pictures of everybody. Can’t we have more distance, and better lighting? I don’t know why they can’t have a Ron Galella. Unless you’re like a supermodel or something, it’s really unflattering. The whole system is so messed up. Therefore, because of the high res thing, there’s this pressure to have more makeup almost [to hide more]. So I’m not sure what works better. A lot of artists talk about piling on more for the red carpet. To your point, it’s because they need it with the flashes to look normal. Yes, and if you’re next to someone who has it and you don’t have it, then you look less polished. That’s always the word, polished. That’s a big thing on the red carpet. Do you borrow any men’s products? I wear my boyfriend’s Old Spice because then, I can smell him throughout the day. Yes! He has one of those Kiehl’s de-puffing eye rollers, which I think I got for him. Sometimes, I use that too. I’m a real Kiehl’s devotee. What was your first fragrance experience? I was really into tea rose. I feel like little girls like tea rose. I don’t know who made it! But I had so many bottles of Chloé, of course, because people would always give them to me. I loved the packaging—it was peach with these little white flowers and the bottle was so pretty. I actually collected perfume bottles growing up, so I had a very strong fragrance beginning. Is there a fragrance that melts you? Is there a person or memory attached? My mother always wore [Lanvin] Arpège whenever she would get dressed up. It’s such an intense perfume. I just associated her with that. Actually, now when she sends me things when I’m away she puts a little bit of it in, so I can smell her. She’s really romantic. I always wish I had gotten that Lanvin Arpège handbag, like the perfume bottle. For some reason—maybe they only produced a few—I didn’t manage to get one. I saw Alber [Elbaz] recently and I said, “I need that Arpège handbag. I know you’re not there anymore, but…” I have to start searching eBay because I so associate that with my mother. You know the illustration is of a mother and child? I didn’t. Is there a discontinued product that you miss? Yes! Comme Des Garçons Rose, which they discontinued, was my fragrance for I don’t know how many years. I went on eBay and I called a bunch of stores and bought as many bottles as I could. So I have one and a half left. But, I have my friends’ perfume called Regime De Fleurs, so I’m slowly going to go through and test. But I’m so associated with Rose. I wish I had saved all of the bottles. I probably could have a whole wall, some art piece. I had so many. Sandra Bernhard in The King of Comedy and her outfits. She has this amazing big, red hair and she kind of has this prep school, Upper East Side look. Actually, the outfit that I’m wearing today is a copy of one of her outfits in the movie. Her looks in the movie are so incredible.